Rovio created one of the first mobile gaming hit franchises with Angry Birds, so perhaps it is surprising that, aside from a promotional mini-game developed with Zappar, the company has yet to adapt the game to augmented reality via ARKit. Halfbrick Studios, maker of the hit mobile game Fruit Ninja, is attempting to fill that void by introducing its own version of slingshot-armed destruction in AR with Siege Breakers on the App Store. The similarities to Angry Birds are hard to ignore. 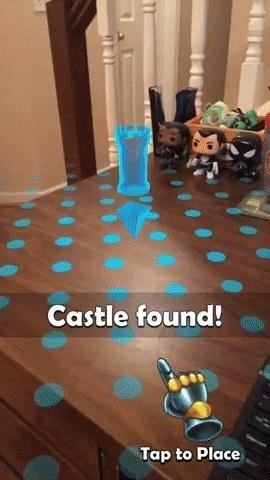 Siege Breakers presents various configurations of castles, which players place in their personal space with ARKit's surface detection capabilities. Players are armed with cannonballs instead of birds, which are aimed from a first-person perspective. There's also livestock, except here, sheep are the innocent bystanders. The familiar objective is to capture flags by toppling the structures that hold them. 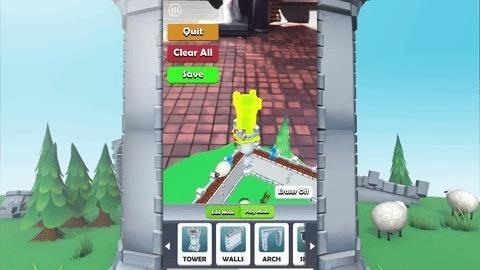 Players are challenged to destroy the castles as efficiently as possible by setting off chain reactions, with achievements represented by stars. The game takes great advantage of its unique augmented reality game space, with more advanced stages calling for the players to find just the right angle from which to fire by moving around the game board. The game also offers a build mode in which players can construct their own structures. This is where the otherwise free game offers an in-app purchase of $1.99 for players to unlock reinforced parts and gadgets. Additionally, the game promises an online mode, which will let players destroy other players' fortresses, as "coming soon." 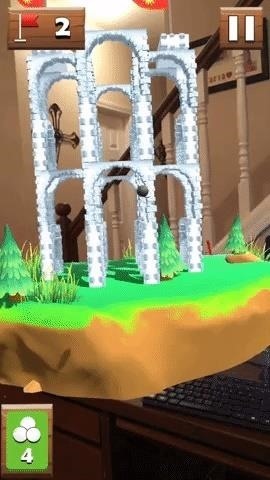 With Siege Breakers, Halfbrick offers players a more polished casual gaming option among the new field of ARKit-equipped games. The studio's new game stands in stark contrast to Halfbrick's previous ARKit offering, the far less whimsical, supernatural detective game Shadows Remain. Nevertheless, with two quality AR offerings under its belt, the studio now has a considerable head start on its mobile gaming peers.